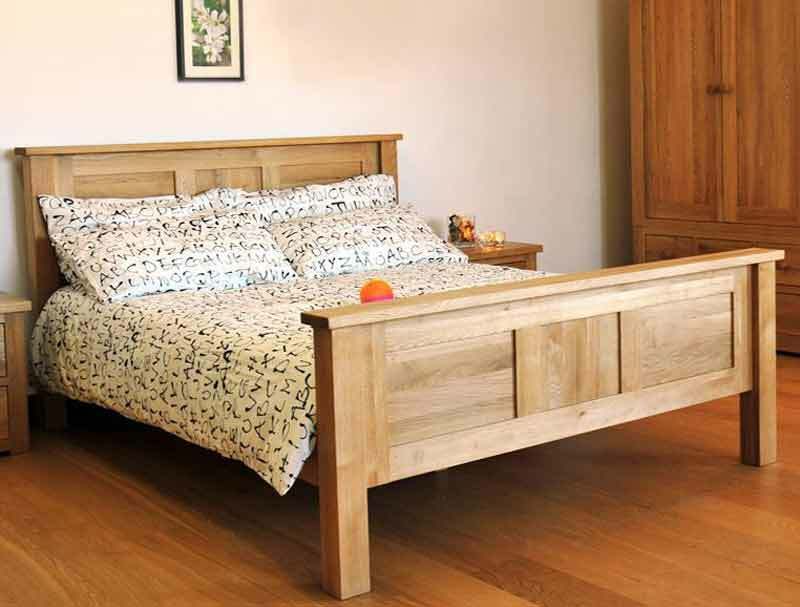 The Windsor Oak panelled bed frame is available in 3 sizes Double, King and Super king size and comes with a high head and foot board and is constructed from Solid american oak to offer a sturdy construction. The Windsor oak bed frame has a wooden centre bar and solid wooden non sprung slats that screw to the side rails . This frame is delivered flat packed for home self assembly.